Hours: Open at official sunrise for 6 hours. Directions: Accessed via the Teslin Lake Government Campground 15 km north of Teslin. Park at the large brown cook shelter, follow the adjacent foot trail down to the lakeshore and follow the signage. 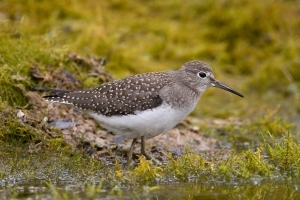 The Teslin Lake Bird Observatory (TLBO) was established in the spring of 2005. Following three years of site testing, the observatory started full scale migration monitoring during the fall of 2008. Since then, the observatory has operated annually during the fall migration season from the last week in July until late September or October. One key result of data collection at the observatory is a list of ‘daily species totals’ which include a number of individuals of each species observed passing through or over the count area on a particular day. These totals are derived using the various monitoring methods used at the observatory, including: mist netting; visual migration counts; lake counts; and incidental observations. All monitoring activities are conducted in a standardized manner to allow for comparisons to be made between years. 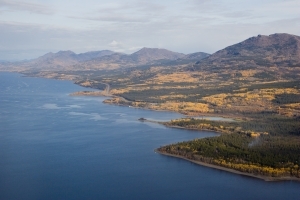 TLBO is located along the riparian zone of Teslin Lake near the mouth of 10 Mile Creek. It is approximately 15 km northwest of the community of Teslin, YT. Access is provided by way of a foot trail at the back of the Teslin Lake Government Campground (near the cook shelter). The habitat at the observatory is primarily riparian shrubs (willow, alder) with scattered areas of white spruce and balsam poplar. There is also a small wetland in the area with water levels that fluctuate widely in response to water levels in Teslin Lake. During June and early July of most years, much of the study site is flooded by seasonally high water levels in Teslin Lake. This has caused the vegetation in the area to remain in an early successional state and has limited the growth of large trees in the area. 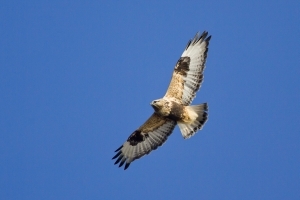 TLBO is a very suitable location to monitor bird migration; to date, over 185 species have been observed at the site. The northwest orientation of Teslin Lake acts as a funnel to concentrate migrants flying south during the fall. In terms of songbirds, there are very few local breeders at the site and migrants do not stop over for a substantial amount of time. 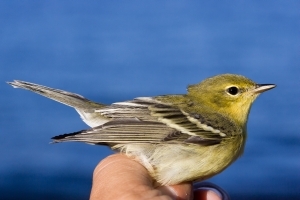 This provides an ideal situation for migration monitoring due to a lower chance of double counting birds on consecutive days. Numerous species of raptors, waterfowl and even some species of small songbirds fly over the site while in migration and are monitored through the visual migration counts. 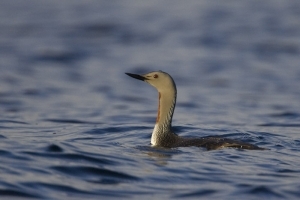 Teslin Lake attracts a high diversity of waterbirds, including loons, grebes and gulls which are counted on a daily basis during the lake counts. 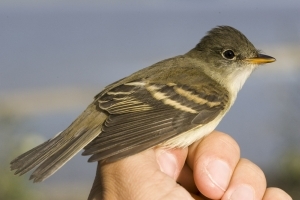 Some of the more common songbird species observed at the observatory include Alder Flycatcher, Yellow Warbler, Dark-eyed Junco, Yellow-rumped Warbler and in some years, Boreal Chickadee. Among raptors, Red-tailed and Sharp-shinned hawks are relatively common in addition to Northern Harrier. Swans (particularly Tundra) are the most common waterfowl species observed during the visual migration counts. Other waterfowl species observed on the lake counts include Common Merganser, Lesser Scaup and Surf Scoter. 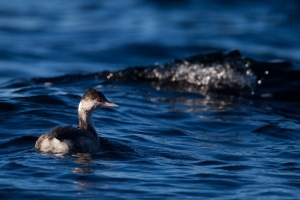 Waterbirds are very well represented at the observatory, with the most common species being Herring Gull, Red-necked Grebe and Common and Pacific loons. 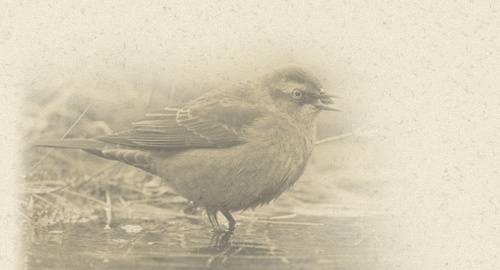 During operating times the observatory is open to the public.Individuals (or groups) interested in Yukon birds are encouraged to visit the site. Details regarding the location and date/times the observatory is open are provided in the map below. There are a number of local businesses in the community of Teslin to provide meals, accommodations and other basic service. For more information visit the Village of Teslin website. For more information on the Teslin Lake Bird Observatory, email the station manager, Ben Schonewille.